Embrace your inner zombie and look spooky in this bloody zombie costume! Costume includes a blood-stained fading dress with an attached shirt. The schoolgirl look is completed by the black tie and straw hat! 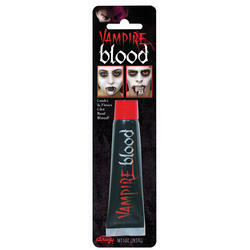 Ideal for Halloween fancy dress costume parties!